You pass and shoot by flicking your players. 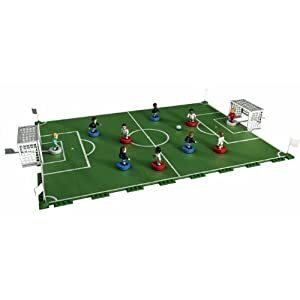 The set includes all 24 pitch sections so you can build your own football pitch so you can challenge your friends to table top football. 2 goalkeeper bases and 1 football. I can’t see it and don’t get why its fun but the men in my house are loving htis form consturcting it to playing it. Aopparently the footballers look exactly like the axctual footballers they represest. My son declares he cannot wait to get some more. He’ll love this add on section to take penalties (£8.99) and he know he is keen to get more characters. 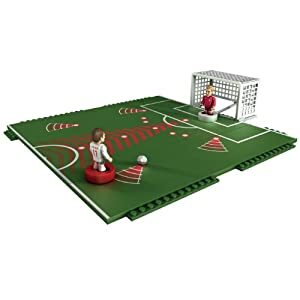 A fab toy for Christmas if they are into footie but do be aware they are almost sure to want more players. Previous Post I think I failed the Heinz secret ingredient cooking challenge!